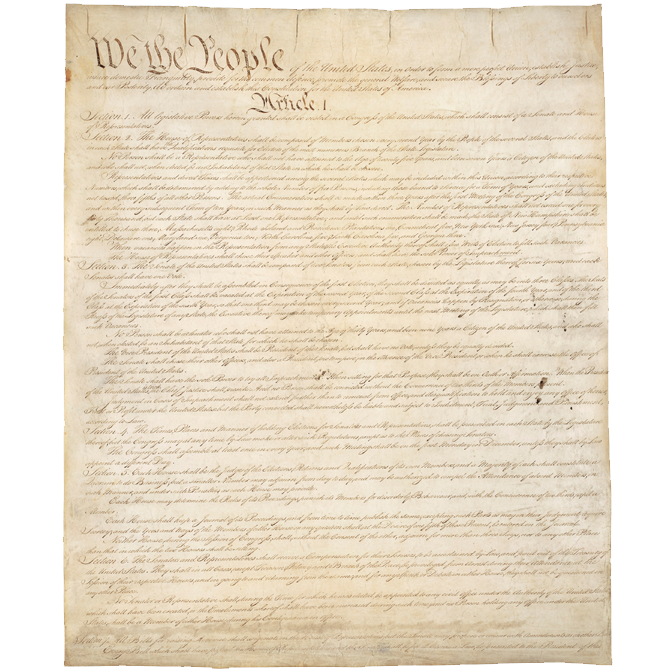 The Constitution of the United States was written in Philadelphia during the sweltering summer of 1787 by a convention of delegates representing 12 of the 13 states. Presiding over this gathering of well-educated lawyers, merchants, soldiers, and landowners was George Washington, then a delegate from Virginia who had served as commander in chief of the American forces during the War for Independence. Working in secret, the delegates abandoned the Articles of Confederation that had joined the states together during the American Revolution but had failed to create a cohesive nation. 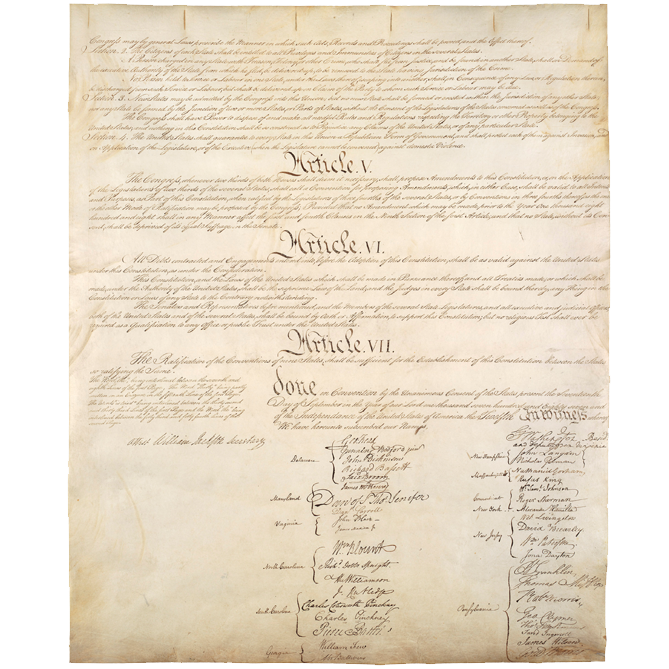 In their place, they drafted the Constitution, establishing a stronger central government that could print money, collect taxes, build an army, and regulate trade. To prevent this new government from growing too strong, the framers split its powers among three branches — executive, legislative, and judicial — each with the authority to check and balance the other two. They also balanced the powers of big states and small states, and, in the spirit of the Revolution, made clear that the real power rested with the people, who would choose their leaders and be responsible for holding them accountable. 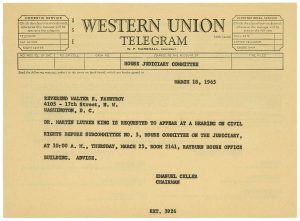 Even as they wrote and signed the document, delegates to the Constitutional Convention knew it was imperfect and would be revised. 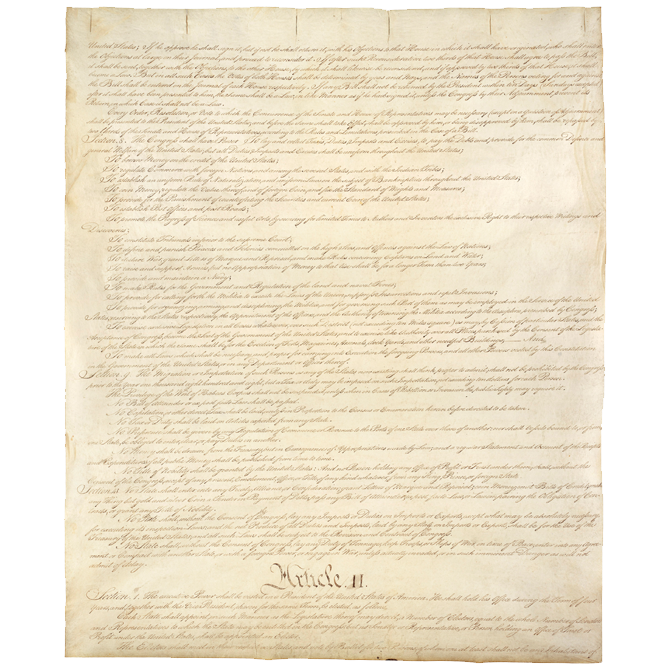 The Constitution has been amended 27 times over the past two centuries, yet it remains the longest-lasting written national constitution in the world and continues to inspire people of other nations as they write their own laws. 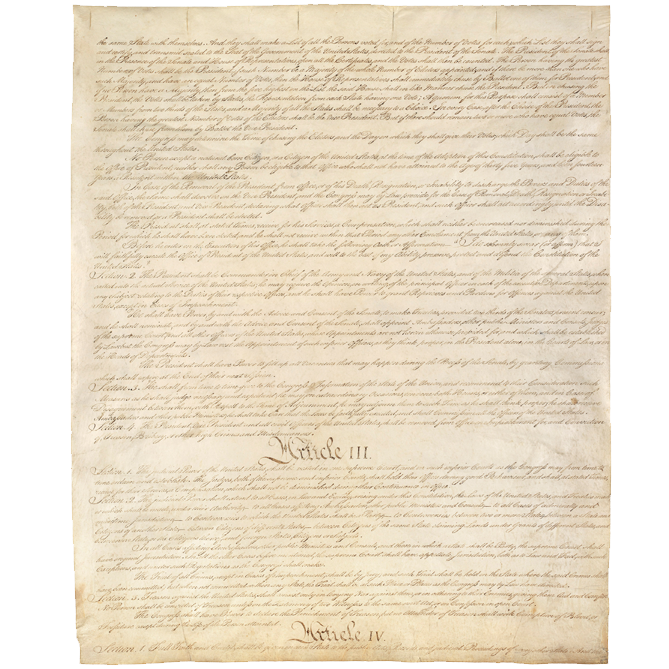 The Constitution’s home is the National Archives, where it is held in trust for the American people and preserved for future generations to see in the Rotunda for the Charters of Freedom. 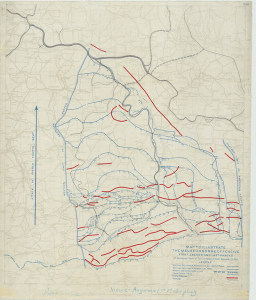 Download a high-resolution version of this document from the National Archives’ Online Public Access Database. Watch telecast footage of the 1968 Apollo 8 Mission, the first manned spacecraft to reach the Moon and safely return. This multimedia presentation features photos of the Moon’s surface taken from the spacecraft and an audio recording of the astronauts’ description of the lunar surface. 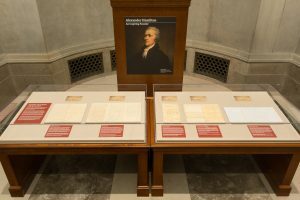 In celebration of Alexander Hamilton and the Broadway musical inspired by his extraordinary story, the National Archives will showcase original records from the Founder’s life and legacy, paired with related Hamilton lyrics. On display in the East Rotunda Gallery through September 18, 2018. 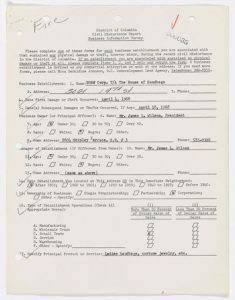 Remembering the Assassination of Martin Luther King, Jr.: Business Information Surveys for the Civil Disturbance Report, June 1968.